As the owner of a successful florist shop, Khloe Harper trusts her instincts. She has a strong bond with her family and friends, but after being betrayed by her last love, she's kept herself at arms’ length from romance. When dashing entertainment attorney Derek Thomas walks into her store, Khloe’s interest is piqued. What at first seems like a business relationship quickly turns into romance, and Derek slowly plucks away the petals she’s been hiding behind. Just as Khloe lets down her guard, she discovers that Derek may not be worthy of her love after all. Frumpy Connie Albright has a faux fascination with an imaginary man named Walt, thinking that by sending herself flowers from him she’ll feel less out-of-place with the “mean girls” she works with. When she comes face to face with her possible prince charming and thinking she might have a happy ending, when a truth is revealed, she wonders if she’ll ever have a Cinderella story. A recently widowed senior, Gabby Lewis, isn't ready to give up on love—which means releasing herself from survivor's guilt and taking a chance on finding happiness and companionship again. After signing up for an online dating site for senior citizens, much to her surprise, she’s matched with Harry, an energetic and loving man, who quickly eases himself into her heart. Will Gabby take the leap of falling in love again, knowing it’s possible to have two loves of her life? As each woman’s story develops through flowers and cards sent from Khloe's shop during the Fall months, they begin to learn that love can only truly blossom when you trust your heart. 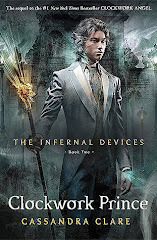 The Blurbs and book cover has definitely caught my attention and I knew I have to read this book and I was right. It's a sweet sweet story revolves around 3 different women - Khloe, Gabby, and Connie. 3 women are whom her heart has been broken down by her ex-boyfriend (that is, Khloe - the owner of Khloe's Flower shop), a woman who has lost his husband due to illness (that is, Gabby) and lastly, Connie, creating an imaginary boyfriend only to prove to her colleague, she too has a boyfriend who love her dearly and they are all connected through Khloe's Flower Shop. "One book, 3 different women finding their way to a beautiful love life and happiness"
Although, Cards From Khloe's Flower Shop is quite slow and somehow, it is predictable which I can guess how the ending is going to be but out of 3, I couldn't guess Connie's story on it will end and for that being said, I am still having fun reading the book, totally makes me smile throughout my reading. I'm finished reading this book during the month of February and it is definitely a perfect month to read as it is a month of love, doesn't it? Out of 3 stories in the book, I have to admit, I love Khloe's story more than anything. When she finds the one she knows she will love for the rest of her life and then, there's a secret that the man hide from her and it makes wonder how will she handle it? Will she able to accept it? How can she confront it? While Gabby, she is trying to move on from her late husband and she felt kind of lonely without her husband thus when her friends talk about a dating website, she figures that she should try it and good thing, she finds a man that makes her heart skips a bit. For Connie, she felt so lonely without her family whom she lost and the peer pressure has made her decide to create an imaginary boyfriend so, when they start to mention how does he looks like that makes her creating a dating profile and find a man that has what she thinks looks like and a personality that matches her preferences. All in all, the author has written such a sweet contemporary romance that makes our her flutter when reading it and reading it at a very smooth rate. 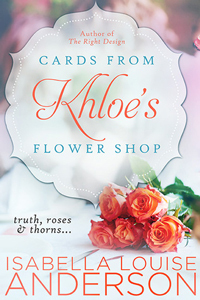 Card's From Khloe's Flower Shop is a book about women figuring how to overcome the sadness they have in their life, finding a true love that will truly make her life happy and feel appreciate from her partner. 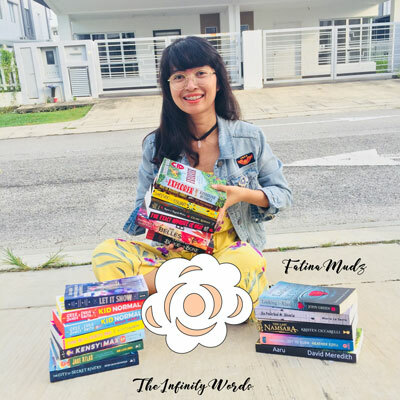 Overall, I enjoy my reading and will recommend to you if you are looking for a book that has a sweet-adult story, one that reading it makes it feel relatable to our lives and not a heavy reading at all hence this book will be right for you. Isabella Louise grew up with a book in her hand, and to this day nothing has changed. Aside from writing, she focuses her time on featuring other authors on her blog, Chick Lit Goddess, along with sharing book reviews. Isabella Louise is also a member of the Romance Writers of America. She lives in Dallas with her husband, enjoys spicy Indian and Mexican food, margaritas, and red and white wines. 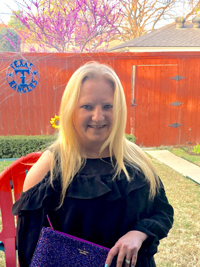 She loves spending time with family and friends and cheering on the Texas Rangers. When Isabella Louise isn’t working on her next release, her attention is also on her Scentsy business, where she’s a consultant.